The battle for market share among Russia’s big mobile operators is having an effect on their bottom line. Analysts say the fight for subscribers will now move to mobile internet as, MTS, Vimpelcom, and Megafon continue to struggle for supremacy. ­In 2011 mobile operators in Russia were hit by their fight for a subscriber, says Ilya Rachenkov from Investcafe. However, all of them finally had to cease to aggressively increasing their client base. In 2012 they are likely to focus their effort on developing and promoting such high marginal products, as mobile internet, Rachenkov added. The current leader in the Russian market MTS demonstrated moderate figures in 2011, with its net profit going up 1.2% to $1.44bln and revenues increasing 9% to $12.3bln. Megafon in turn suffered a 11% decline of its net result, to $1.5bln in 2011, while revenues were up 13% to $8.01 billion. The company’s operational expenses – mostly spent on supporting promotions and sales – ate most of its revenues. VimpelCom, is a leading global provider of telecommunications services, suffered a $386mln loss, compared to a $461 million profit in the same period last year. FY results demonstrated even steeper decline, as its net profit plummeted to $488 million from $1.67 billion in 2010. The losses were due to an increased global presence. Although its revenue doubled to $20.25 billion, it was basically offset by the acquisition of Italy’s Wind Telecom, Ilya Rachenkov from Investcafe explained. This “had a great negative effect on the leverage rate, as well as profitability of Vimpelcom Ltd,” Rachenkov added. However, its Russia-based unit, that generates 39% of the group’s revenue, performed better, with its Q4 2011 net profit increasing 10% to $2.4 billion. But the mobile companies are eyeing their next goose to lay golden eggs: mobile data transmission. 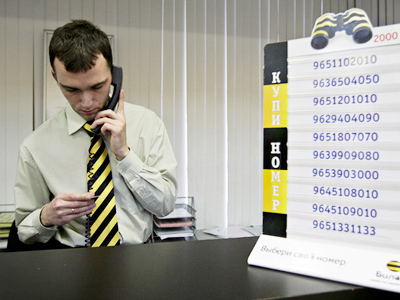 It “is one of the most promising growth drivers in Russia,” Vimpelcom said on Tuesday. So, the company “continues its effort to enhance smartphone penetration and stimulate data usage," Vimpelcom concluded. Mobile data revenue jumped 41% to $170mln, VimpelCom said a statement. 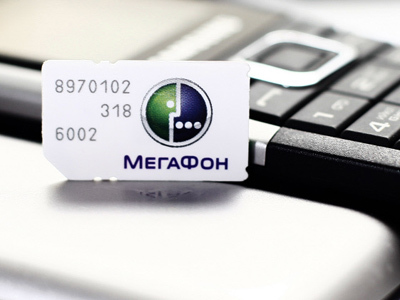 The figure compares with 41.6% growth to $293.3mln roubles at Megafon – one of its closest rivals. Mobile TeleSystems (MTS), the Russian market leader in terms of mobile business revenue growth, retained its leadership, with its mobile data revenue growth standing at 46% year on year to $226.7mln.